Born in 1980, Luiza Zan began her career at the age of 4. That's when she won her first award at a contest for Soimii Patriei (The Fatherland's Falcons, a Communist youth organisation). Some time later, the same song, played at a children's contest (Frunzulita d'alior), would bring her the grand prize at the International Festival Cerbul de Aur (Golden Stag) 2004, a week after winning second place at the Jazz Festival in Montreux, Switzerland. At Montreux, she had her first chance of being accompanied by renowned musicians. She was joined onstage by such people as Geri Allen, Bob Hurst, Eric Harland and Omar Hakim. 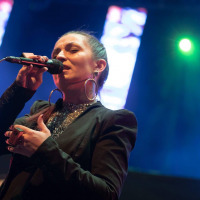 2004, an outstanding year for her, ended with another award received at the Jazz Awards Festivity held by the Romanian Broadcasting Corporation, the Confirmation Award. Among the many musicians she played with are Rick Condit - saxophone player and teacher in the United States of America, who played with the Ella Fitzgerald Big Band; Mircea Tiberian, Romeo Cosma, Ion Baciu Jr., Armen Donelian, Jurgen Bothner, Arthur Balogh, Vlaicu Golcea, Vlad Popescu, Sorin Romanescu, Electric Brother, DJ Vasile, McNeeste State University Big Band from Louisiana, Petras Geniusas, Alex Hardin and many more. Luiza has been involved with numerous musical and artistic projects over time, for example joining the team led by theatre director Radu Afrim in the staging of I. L. Caragiale's Napasta; she was also cast in the contemporary dance show Visa Game alongside Cosmin Manolescu and Pascal Allio. She has written film music for Carambol, Circul Vesel (HBO) si Australia (HBO). 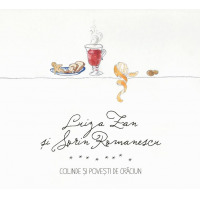 Luiza Zan has studied classical singing for 9 years, attending the classes of the Art High School in Piatra Neamt and those of the George Enescu University of Arts in Iasi, accumulating a wealth of knowledge that she can now pass to the younger generation from her position as a respected teacher. She is frequently invited at the IconArts creation camp, alongside renowned names from the international classical and jazz scenes. All About Jazz musician pages are maintained by musicians, publicists and trusted members like you. Interested? 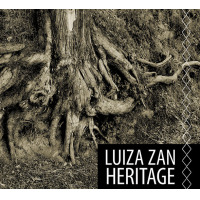 Tell us why you would like to improve the Luiza Zan musician page.